I have been getting a lot of questions about the exercises that I use to prepare my athletes for competition…specifically when they are out of camp or far away from competition. 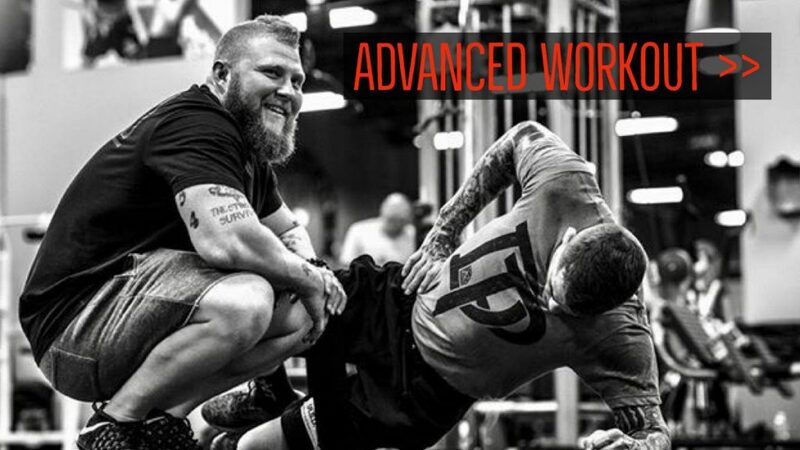 Below, I created a video to discuss a few of my favorite strength training exercises for mma fighters. 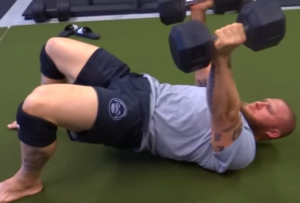 5 strength exercises that I use to get the most out of my mma fighters. It puts the body in similar positioning that you will encounter on the mat or in cage and strengthen the muscles involved with fighting and grappling . Why bridge while pressing? 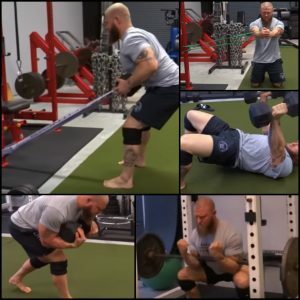 Activation of the glutes during the press helps strengthen more of the body and transfers well into specific situations that occur on the mat or in the cage. 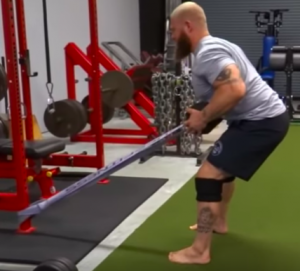 This exercise challenges similar movement patterns that you would have during a double leg takedown, while also challenging the body unilaterally (one side at a time). 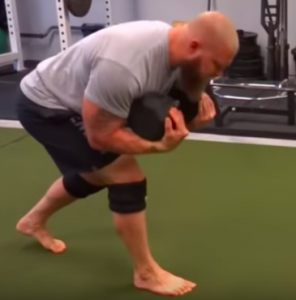 Grabbing the end of the dumbbell by the end challenges the grip and the band increases the difficulty at the end range of the pull. This combination takes a traditional DB row to a whole new level. The tall kneeling position challenges the glutes and is similar to a top position on the ground. It also builds stability throughout the trunk (anti-rotation), teaching us to brace and hold our ground. This can help transfer more force during exchanges.